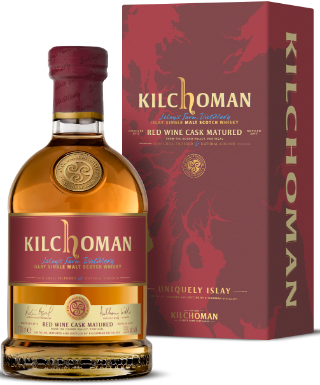 Kilchoman have released two new whiskies in the past couple of months, both peated to 50ppm; one is their oldest whisky to date, and one has spent its entire life in ex-red wine casks. A rather interesting duo, I’m sure you’ll agree. 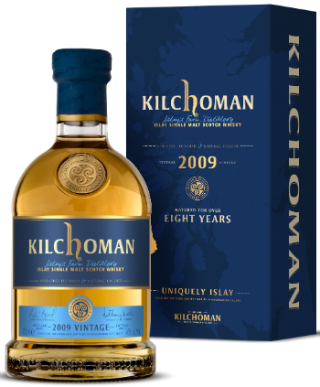 The 2009 Vintage was bottled earlier this year as an 8 year old and has been matured in a combination of ex-oloroso butts and bourbon barrels which is a slight departure from 2011’s, 2013’s and 2015’s editions which were all matured in ex-bourbon casks. The Red Wine Matured release was distilled in 2012 and has spent five years maturing in ex-red wine casks from the Douro Valley in Portugal. Nose: Big hits of smoke and salt; smoked limes, rock salt, cured salmon, dry woodsmoke and coastal bonfires. It’s full of maritime notes. Then there’s some dried apricot, apple skins, charred pineapple, toasted coconut and dried bananas along with some cracked black pepper. Palate: Rockpools, lemon zest, quite mineralic and clean, with sea sprayed logs. Then there’s some fruitiness with faint grapefruit, green apples, lemon zest and custard creams. Finish: Long, salty and smoky with some bitter lime pith. Nose: Some window putty and cherry lips sweets, then a mint leaf freshness before some black forest gateaux, chestnuts, and chocolate. Then bark, charred cedarwood and a wisp of smoke. Palate: Fig jam, plums, poached pear, cola cubes, and a cherry reduction give it a sweet start, before cinnamon, heather, gorse and cigar come through. Finish: Earthy, with tobacco, black tea and a gentle smokiness. Overall: Two very different, but very enjoyable Kilchomans. I love the up front, in your face boldness of the 2009 Vintage, and equally appreciate the rich, earthy fruitiness of the Red Wine Cask release. I think the 2009 Vintage edges it for me though. 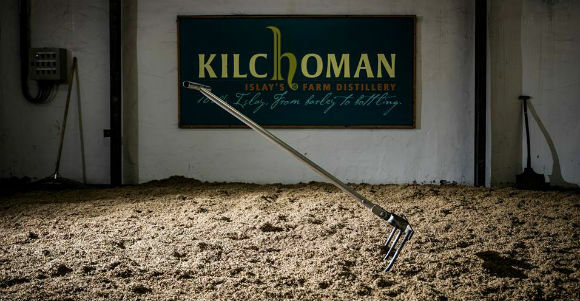 Either way, two very good additions to the Kilchoman portfolio. This entry was posted	on Thursday, November 23rd, 2017 at 9:08 am	and is filed under Reviews. You can follow any responses to this entry through the RSS 2.0 feed. Responses are currently closed, but you can trackback from your own site.